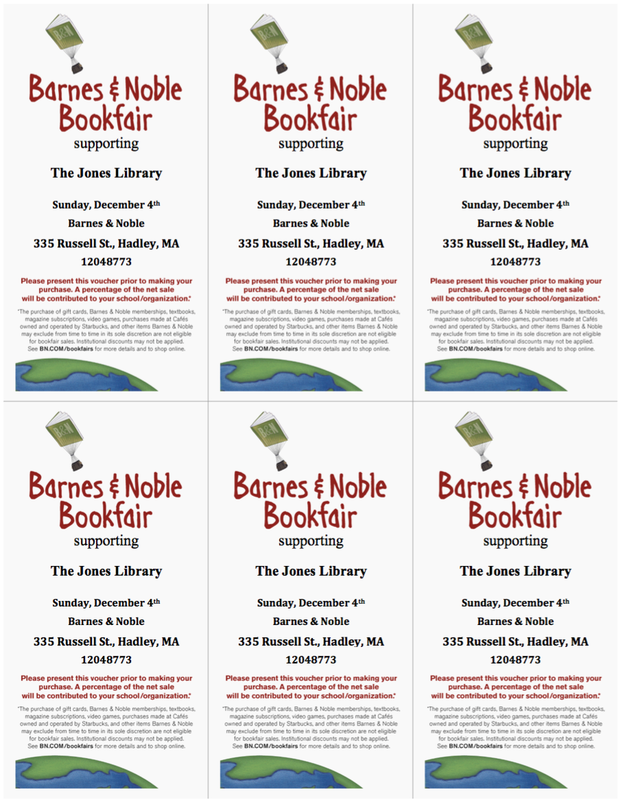 Print off the attached voucher and bring it with you to Barnes & Noble in Hadley on Sunday, December 4. 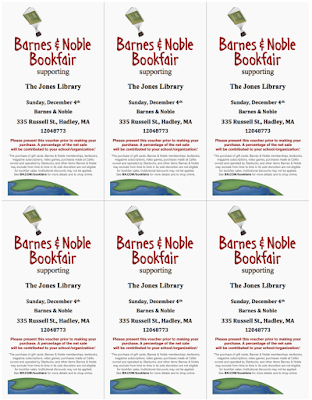 A percentage of your purchases that day will be donated to the Jones. 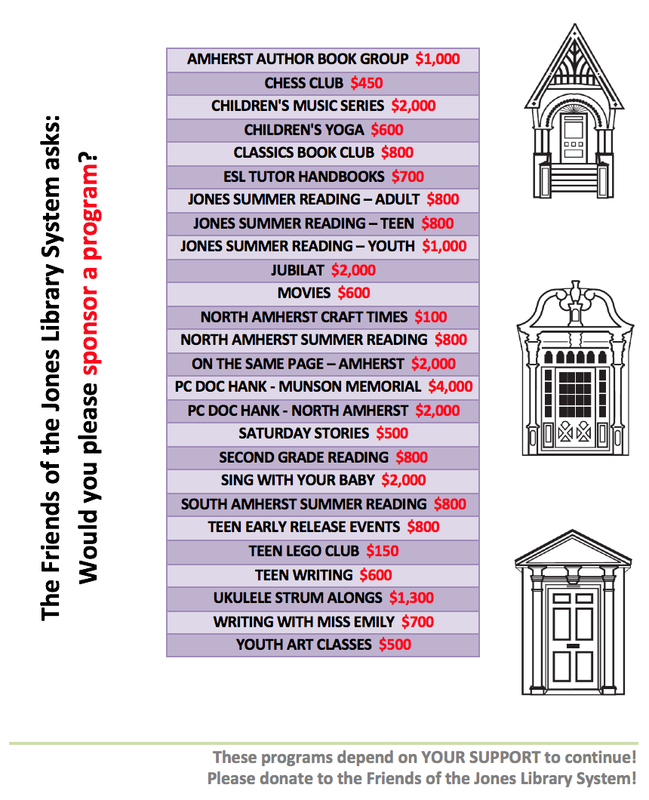 The only catch: you MUST present the voucher in order for the money to be donated to the library. OR, you can place an online order and enter the voucher code (12048773) upon checkout. Don't feel like printing this voucher out? Stop by the Jones and just pick up a copy!